Have you reached out to an Eph in harm’s way yet? 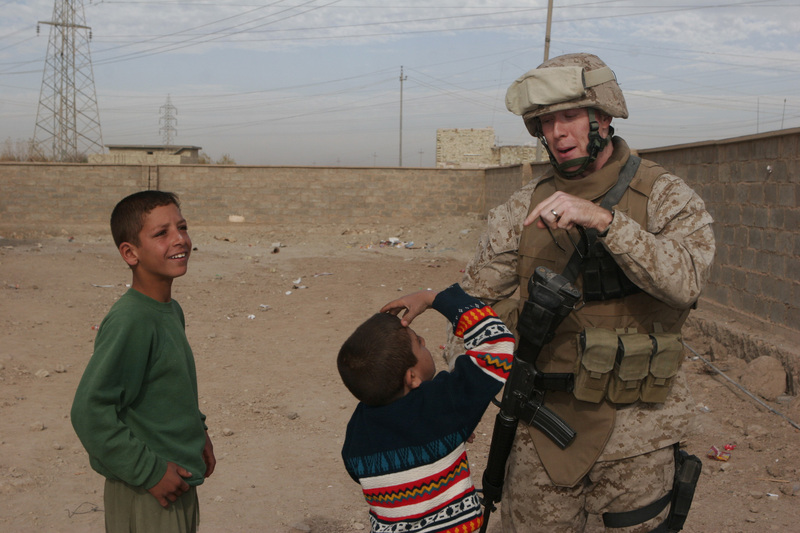 Captain Lee Kindlon, a Williamstown, Mass., native, jokes with an Iraqi child outside a school in Saqlawiyah, Iraq during a visit by Team 4, Detachment 4, 6th Civil Affairs Group, 2nd Marine Division. Men and women like Kindlon are making the world safer for my daughters. Wish them luck.